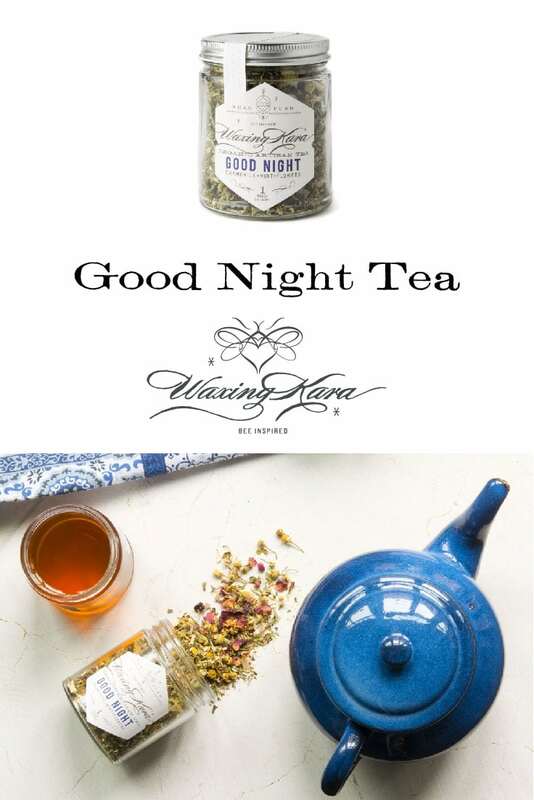 Good Night Tea is an organic calming bedtime-inspired blend that sends you off to dreamland faster than a New York Minute. 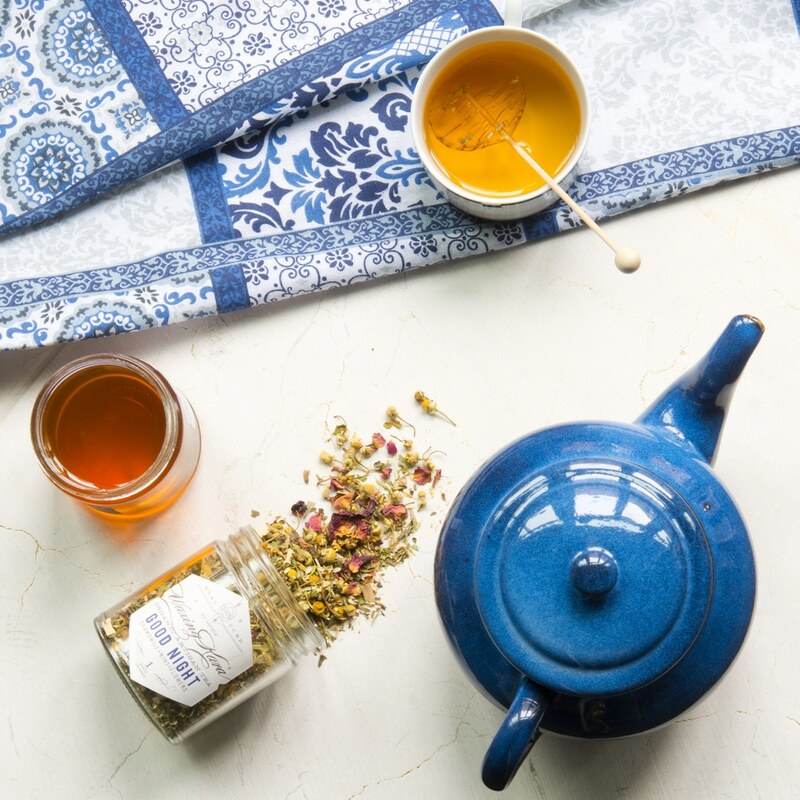 A perfectly soft, herbal brew made with chamomile, mint, and valerian for relaxation. Read more about honey and sleep over on our blog. The Moon, the Stars, and Good Night Tea. This small batch artisanal tea is hand blended and packaged in our Honey House. Sourced from trusted growers, it is a perfect way to lull yourself to sleep. 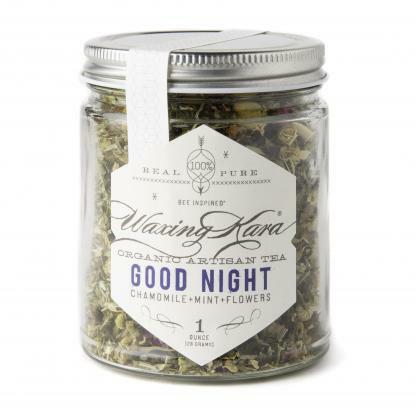 Good Night Tea pairs together soothing herbs with fragrant petals for a light, dreamy cup that’s perfect for bedtime. 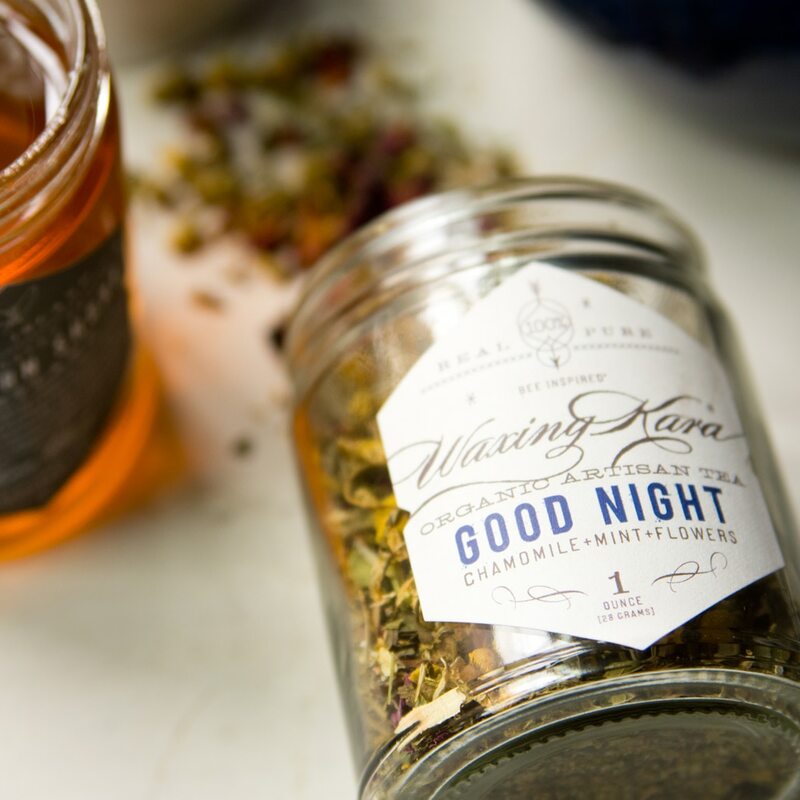 This tea pairs perfectly with our Spring and Butter Bean honey, if you want to add a little sweetness to your brew. Organic. Caffeine free for a good night’s rest. For the Perfect Cup: Add 1 tablespoon of tea to steeper and place in 8 ounces of water (206F) Steep 5-7 minutes.